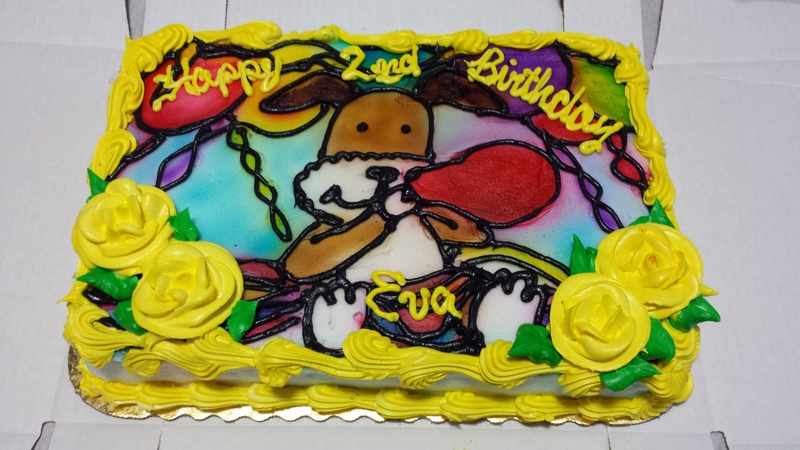 Last weekend Eva turned two. I am DEVASTATED! I swear she was just born yesterday! We started celebrating with trick or treating, then jumped right into an intimate party at home, and topped it all off with the trip to the aquarium the following day for a friend’s birthday party. 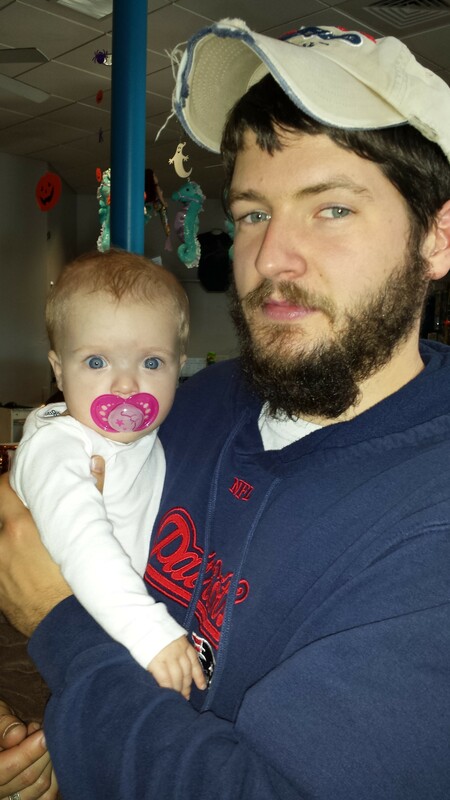 Last year we had a huge party since it was her first birthday. This time we just had immediate family members over for pizza and cake. Our house is way too small to hold a big bash! 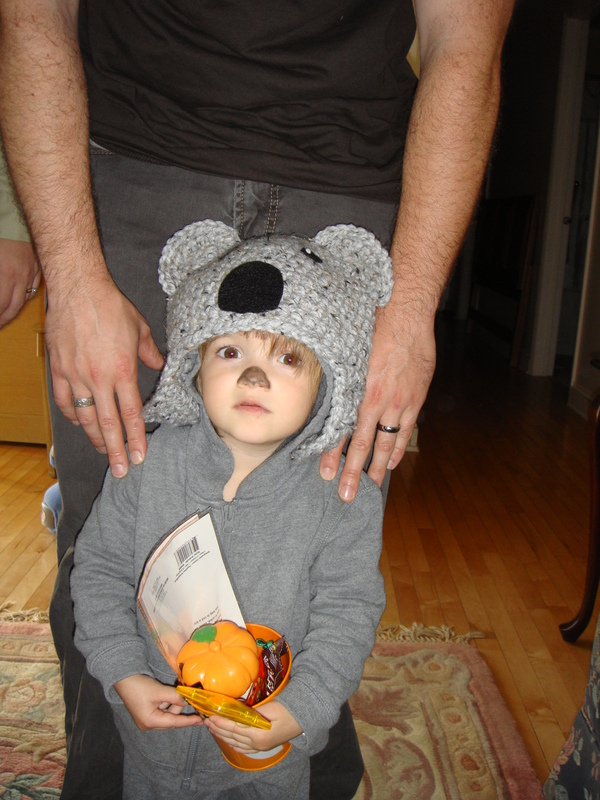 Eva dressed as a koala for her first trick or treating experience. 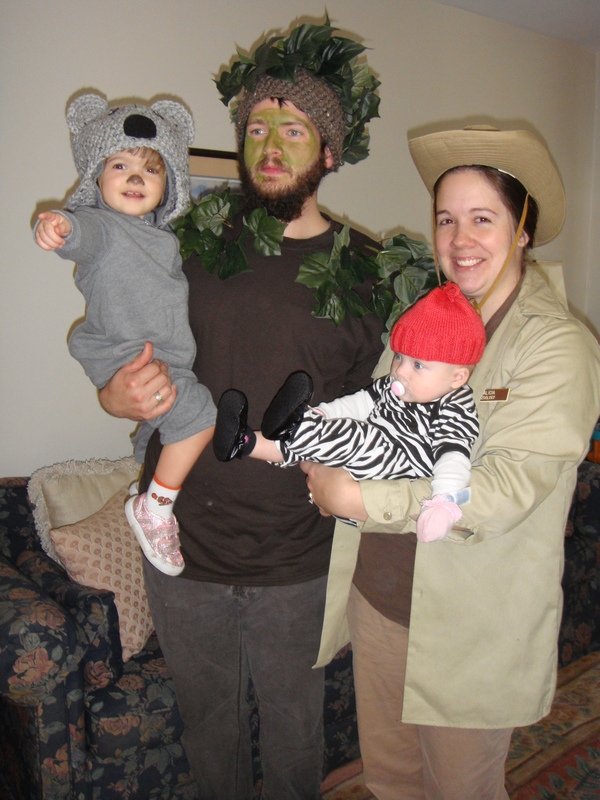 Daddy was a tree, Mommy was a zookeeper, and Kirsi was a tiny zebra wearing a pink hat. So cute! Eva LOVED trick or treating. She toddled away from each house yelling, “CANDY!” I guess it is pretty exciting when people give you lots of candy. Immediately following trick or treating, we rushed home to start partying. 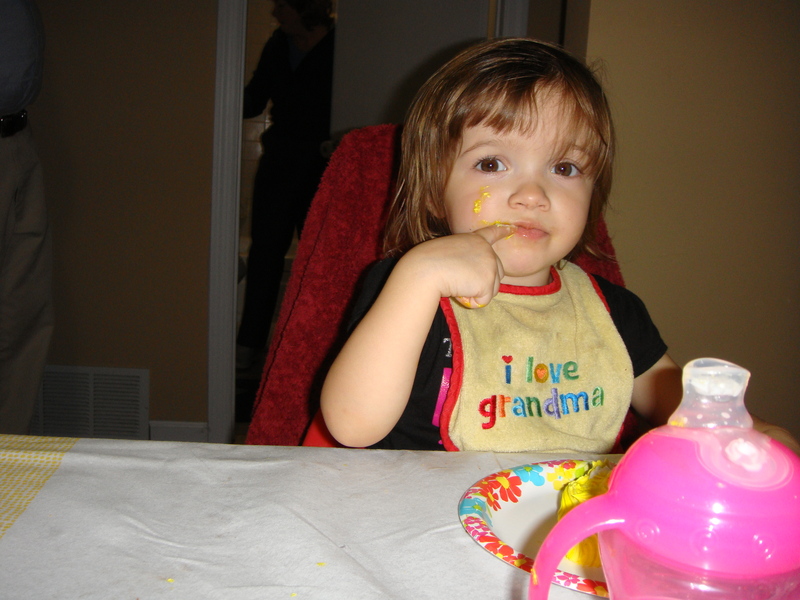 Eva dined on pizza, candy, ice cream, and cake. She then tore open all of her presents and showed them off to anyone who would marvel at them with her. 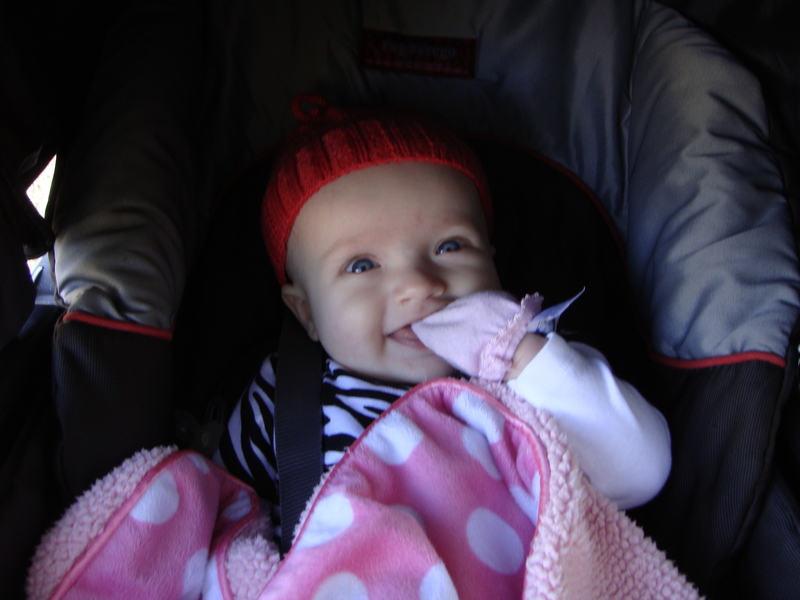 The next day we headed to a birthday party for Eva’s friend, who was born less than a week before her. The party took place at a semi-local aquarium. The place was definitely geared toward kids. 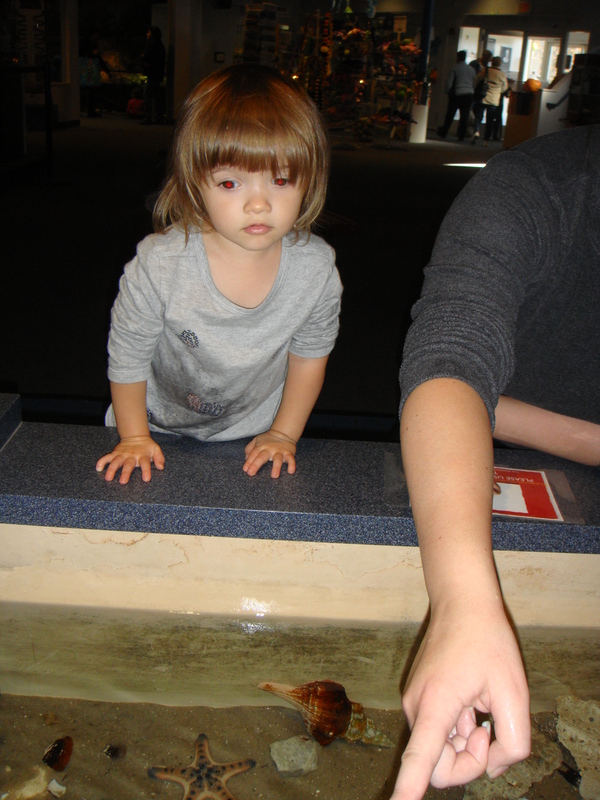 There was a limited number of exhibits, which is perfect for little ones with short attention spans. They also had the most “touch” pools I’ve ever seen, four in all. Three of those four pools were at toddler level. 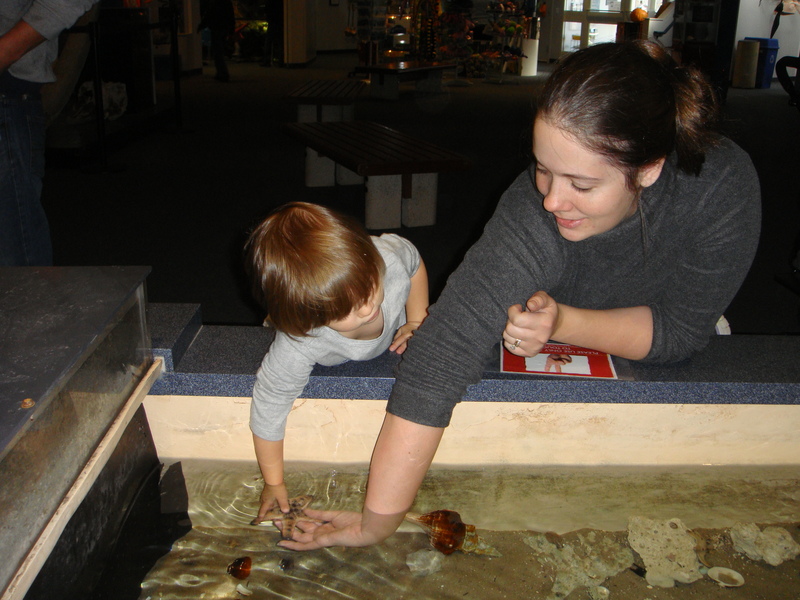 (Yay for not having to dangle a heavy child over water!) 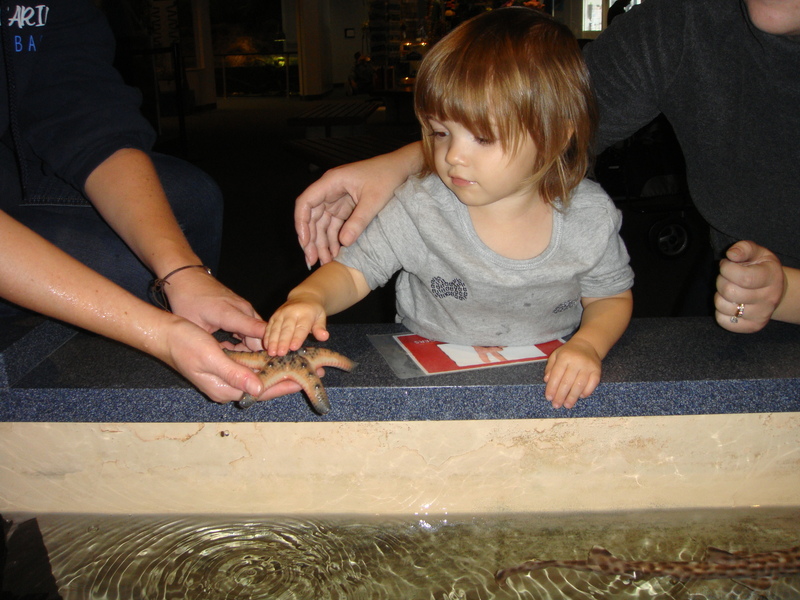 Eva had a blast and spent most of her time touching sea creatures. All four of us were pretty exhausted after all the excitement. I’m very much looking forward to vegging out tomorrow! 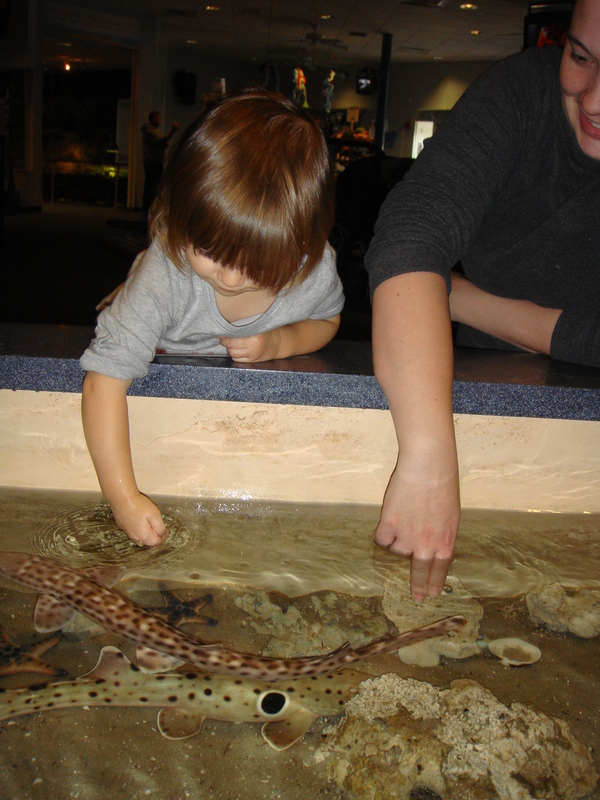 Categories: Family | Tags: aquarium, baby, birthday, family, toddler, trick or treating | Permalink.